Kellstadt students begin their MBA/MS journey for a variety of reasons; they may want to continue their studies right after a bachelor’s degree, advance in their careers or transition into a new career. Often, life as a graduate student means that there are work, family and community commitments. While it could be possible to earn an MBA or MS degree interacting with professors and fellow students only in course lectures, students can translate education to experience by getting involved. 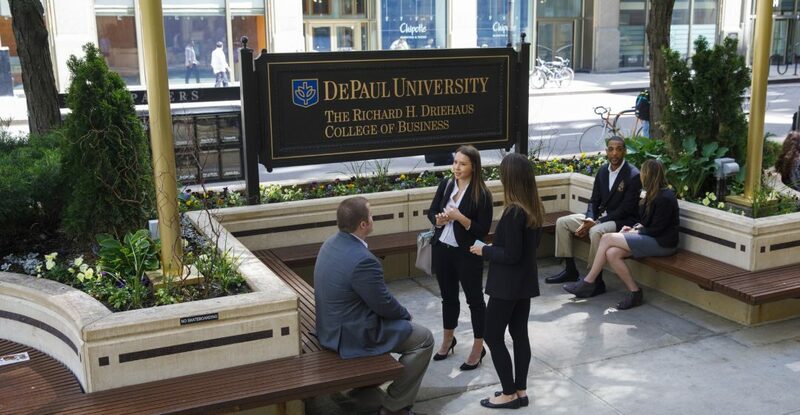 To enhance your MBA and MS experience at DePaul, Kellstadt provides numerous opportunities to get involved, such as career-building resources, graduate student organizations and community service. The Kellstadt Career Management Center (CMC) provides networking and career counseling that can be developed in parallel to the academics of your degree. Also, the CMC offers a variety of workshops, as well as résumé review and mock interview opportunities. There are many Kellstadt graduate student organizations related to each graduate focus of study that you can join. Joining a student organization is a great way to meet fellow students, professors and alumni. Kellstadt’s student organizations allow you to put theory into action while networking with professors and alumni who are experts in their fields. From Kellstadt Marketing Group’s Case Competition to the DePaul Society for Human Resource Management’s “Innovation in HR” panel discussion there are countless opportunities to get involved. One of the biggest advantages of DePaul is that it is located in Chicago, providing many opportunities to become involved in community service. I’ve had the opportunity to work with two accounting- and finance-related local organizations: Ladder Up, which provides tax preparation assistance, and Operation HOPE, a nonprofit that brings financial literacy to younger generations. There are also several community organizations such as the Greater Chicago Food Depository and Care for Real, as well as other local shelters and religious organizations. DePaul also hosts Vincentian Service Day, an annual tradition that brings together students, staff, faculty and alumni to participate in a day of service with more than 50 community partners in the Chicagoland area and cities around the world. Becoming involved will help tie in your academic experience to your original goals and make it more meaningful. It may even confirm your decision to pursue a particular concentration of study. 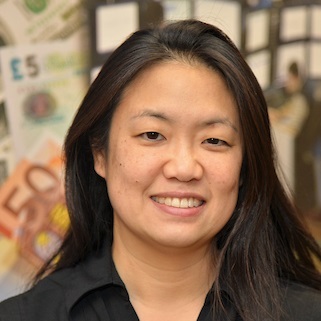 Author: Sabrina Wing is pursuing her MBA part-time at the Kellstadt Graduate School of Business. What’s Your Return on Interview?